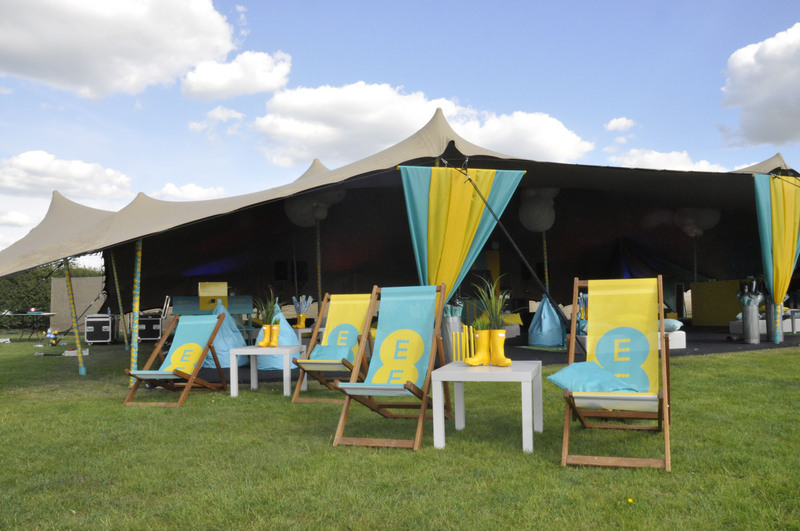 For the second year running we used EE brand colours to customise the stretch tent supplied by Intent Productions in the EE garden for over 200 VIP guests. The tent was set in the garden of Steanbow farm inside the Glastonbury site. 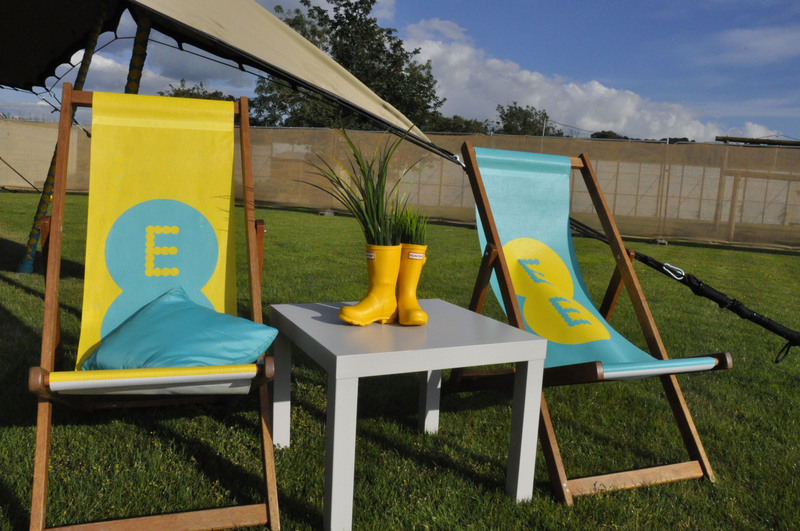 EE played host to festival artists and celebrity guests such as Sophie Ellis-Bextor and band of the moment Bipolar Sunshine. The guests were also kept entertained by music from Will Poulter and band Kodaline whilst DJ Seth Troxler was serving guests of EE’s 4G Garden a selection of his Smokey Tails’ ribs, pulled pork and chicken wings. Last year we focused on retaining the Moroccan/Bedouin theme whilst introducing the new branding colours following the change from Orange to EE. This year we built on the new brand identity by completely removing the old style and moving toward a more fun and contemporary look. 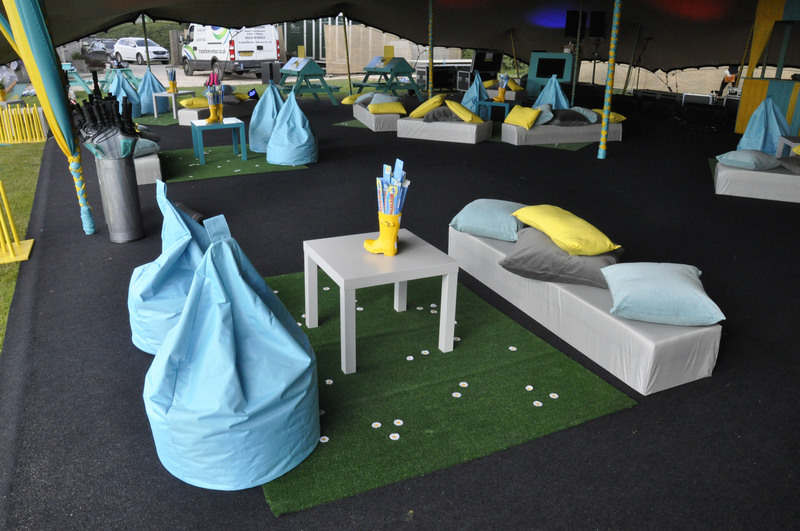 We made grass covered benches embellished with daisies, had fun with little yellow Hunter welly table centres, created a lighting installation using various sized paper lanterns and braided the tent poles using EE’s brand colours, giving an overall effect which was warmly received by the client. At Transform Venue we offer a bespoke service and are able to manufacture drapes, props and seating to order. 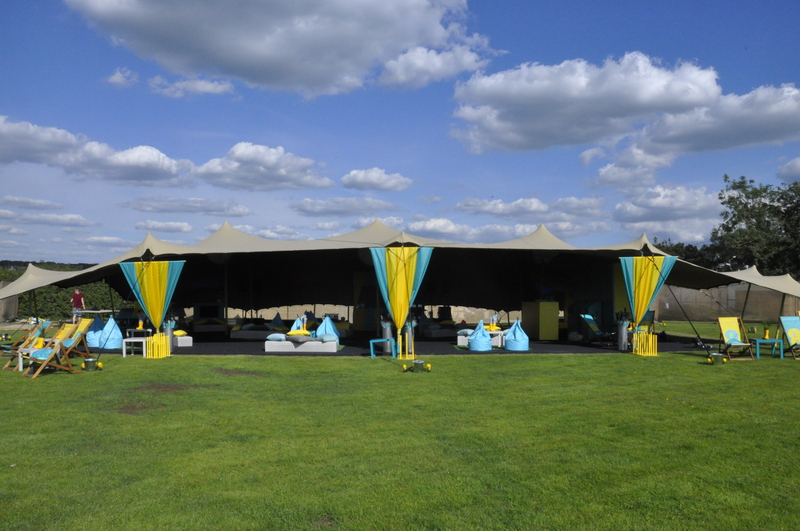 However outlandish your idea, we can make it happen, and can introduce beautiful fabrics in corporate colours, giving your event the branded touch you require.